Judge Miller graduated from the University of Notre Dame with a B.A. in 1979. At graduation, he was commissioned as an officer in the United States Marine Corps. As a Marine officer, he attended Creighton University Law School and obtained his Juris Doctorate degree in 1982. Upon graduation from law school, he received a commission in the United States Air Force Judge Advocate’s Corps where he served as a prosecutor and a senior defense counsel litigating cases throughout Western Europe and the West Coast of the United States until his separation from active duty in 1988. From 1985-1988, he was one of two specially assigned defense counsel in the Air Force provided clearance to represent individuals in classified espionage cases. For the next fourteen years he was in private practice in Colorado Springs, Colorado with an emphasis on federal civil litigation and health care law where he represented numerous individuals and hospitals throughout the country on legal issues associated with emergency organ transplantation surgery. In that capacity, he authored several articles and made presentations to lawyers, hospitals and transplant surgeons in the United States and overseas. He was appointed to the District Court bench effective September 1, 2002 by Colorado Governor Bill Owens. Judge Miller continued his military service as an Air Force Reserve Judge Advocate until his retirement in 2003. He has been active in a number of community and law related organizations including terms as president of the Pikes Peak Chapter of the American Red Cross, Christmas Unlimited, and the Ben Wendelken Chapter of the American Inns of Court. He has served on the El Paso County Bar Association’s Access for Justice Committee and regularly contributes time as a volunteer judge with the annual high school Mock Trial Competition and Colorado Springs Teen Court. In 2016, he was awarded the Juvenile Judicial Officer of the Year Award by the annual State Convening on Children, Youth and Families. In 2016, the El Paso County Bar Association awarded him the annual Liberty Bell Award for contributions to the legal community of El Paso County. He currently handles two dockets – civil and domestic relations. 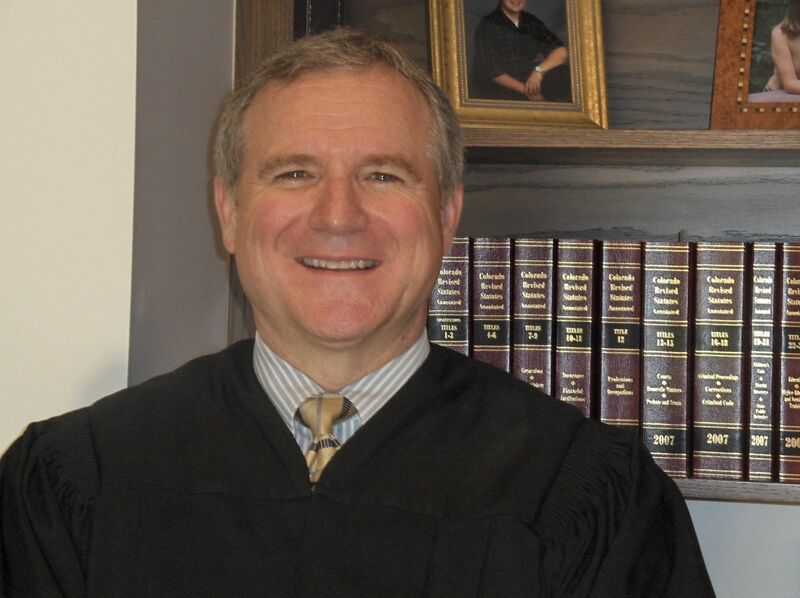 He was the presiding civil judge in the Fourth Judicial District from 2007-2012, and the presiding juvenile judge from 2012-2018. He is a February 2009 recipient of a life-saving organ donation from one of his college roommates and since the transplant, actively participates in the organ donor awareness movement.